Create, develop and communicate graphic design projects from creativity and innovation. Design should be understood as a way of being in the world and relating with it, promoting its ability to improve quality of life and modify both the environment and reality itself. Thus, design is configured as a discipline that not only solves problems but also asks the right questions, quickly adapting to new lifestyles and even anticipating future needs. The Postgraduate Course in Graphic and Digital Design gives you the tools you need to develop a global graphic design project, balancing print and digital media, as well as promoting your creative potential in order to develop your conceptual and technical skills. RV.Studio was founded in 2010 in Madrid. 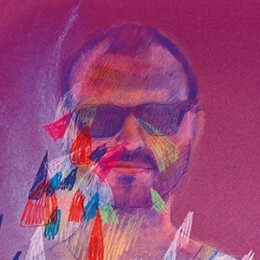 Directed by Roberto Vidal, the studio combines the development of visual communication projects with research in design. Specialized in editorial design, flexible identities and web projects, it works with other designers, architects, illustrators, artists and curators in order to provide the best customer solutions, balancing the functional with the conceptual. Directed to : entrepreneurs, designers, artists and, in general, all those interested in acquiring a basic knowledge of graphic and web design that allows them to develop the graphic communication of their project or business idea.